Elle a grandi à Austin, au Texas, et a fait le tour du monde avec son mélange énergique de r&b, de rock'n'roll et de blues. Aujourd'hui, elle vit à Kansas City. Cette belle série a été enregistrée en Finlande. Bien fait. Digipak. LITTLE RACHEL - voc, JUSSI HUHTAKANGAS - gtrs, MIKA LIIKARI - basse, MIKKA SALMINEN - batterie, plus cors. 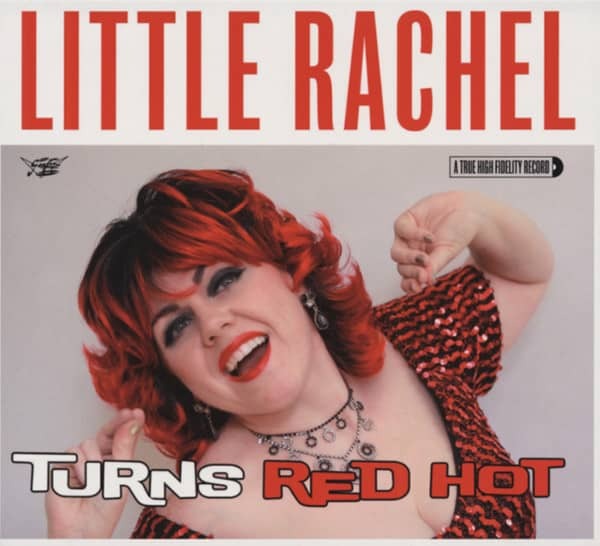 Évaluations de clients pour "Little Rachel & The Hogs Of Rh When A Blue Note Turns Red Hot"
I loved the supremo numbers,as well as slow tunes.title Rachel rock's. She knocks my socks off. Love the two dad's piano soft and hot. Loved guys harmony behind her. All in all Rachel a breath of fresh air. I myself am a doowop lover vocal group harmony. Loved to hear Rachel n band tackle some doowop tunes. Thanks Rachel n guys YOU ROCK!